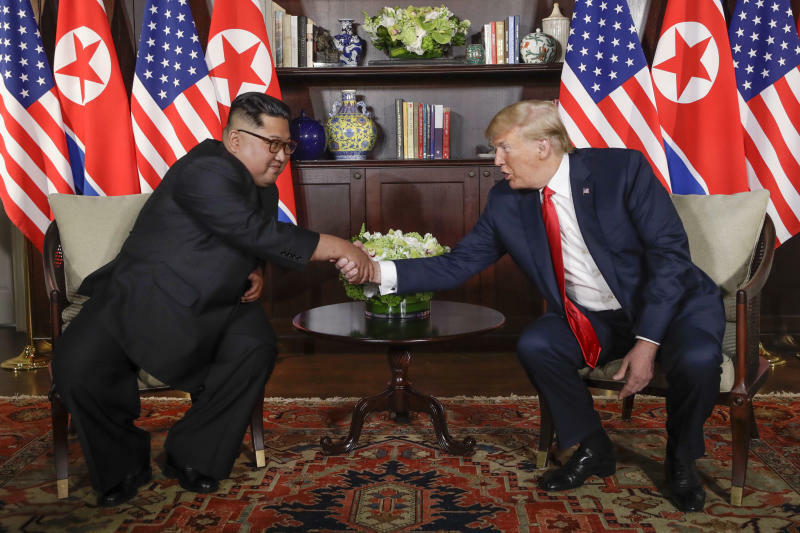 BANGKOK (AP) — Vietnam's selection as the venue for the second summit between U.S. President Donald Trump and North Korean leader Kim Jong Un is largely a matter of convenience and security, but not without bigger stakes. Washington's goal for the Feb. 27-28 talks is for North Korea to agree give up its nuclear weapons. North Korea frames the issue more broadly, seeking a removal of the "nuclear threat" from U.S. military forces in South Korea. Host Vietnam hopes to boost its diplomatic leverage against its powerful neighbor, China, which contests waters in the South China Sea claimed by Vietnam. "By choosing Vietnam, the two leaders send a strong strategic message to the world that they are willing to make a breakthrough decision to turn an enemy into a friend and together make the world a better place, following the example of the U.S.-Vietnam relationship," said Vu Minh Khuong, an associate professor at Singapore's Lee Kuan Yew School of Public Policy. As a single-party communist state, Vietnam boasts tight political control and an efficient security apparatus, and successfully hosted the Asia-Pacific Economic Cooperation meetings in the central coastal city of Da Nang and the regional edition of the World Economic Forum last year in the capital, Hanoi. 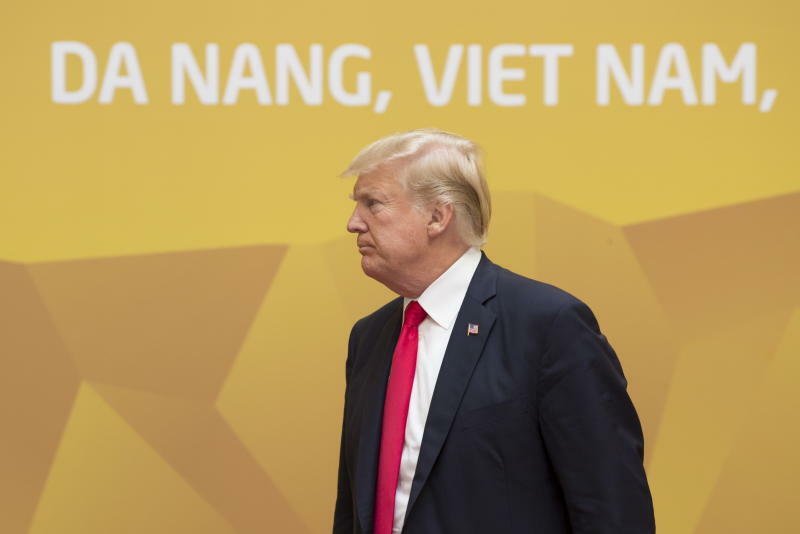 "Like Singapore, where they met last time, Vietnam is a very secure place," said Murray Hiebert, senior associate of the Southeast Asia Program at the Center for Strategic and International Studies in Washington. "Vietnam's security police are able to keep away crowds of the curious and keep journalists in designated areas." Trump's attendance at the 2017 APEC meeting means "he's familiar with the country and has good rapport with its leaders," Hiebert said. "Vietnam and North Korea have long had fraternal communist ties, so North Korea is familiar with the country and its officials. North Korea would also feel confident that Vietnam's security apparatus could secure Kim's protection," Hiebert said. A forward-looking North Korea might learn something from Vietnam's impressive economic growth due to "bold economic reforms, proactive integration into the world economy, and excellent partnerships with strategic partners, with the U.S. and South Korea among the most important ones," Khuong said. "The leaders of Vietnam realized their country could reform, it could open up and build relationships without threatening the country's sovereignty, its independence, and its form of government," he said in a speech to Hanoi's business community. "I have a message for Chairman Kim Jong Un: President Trump believes your country can replicate this path. It's yours if you'll seize the moment." 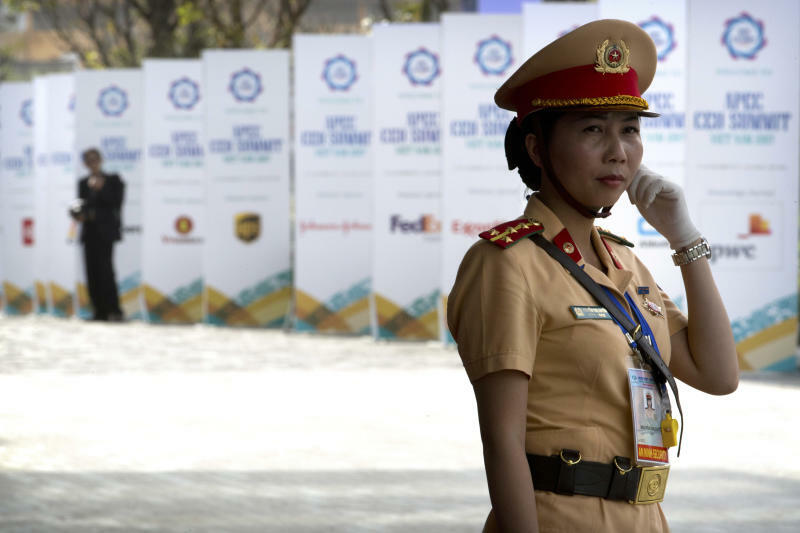 "Vietnam is locked in a pretty intense rivalry with China in the South China Sea, so Hanoi is looking for regional and international diplomatic support as a hedge against Beijing, and hosting a summit like this would certainly strengthen its international profile," said CSIS scholar Hiebert. "The country may attract significant international attention, especially from tourists and investors, through the intense media coverage of the summit," said Le Hong Hiep, a research fellow at the ISEAS Yusof Ishak Institute in Singapore. "It can also be a chance for Vietnam to showcase its active foreign policy, through which Vietnam would like to contribute more to the international community, as well as to regional peace and security." This story has been corrected to say that the 2017 APEC meetings were held in Da Nang, and the 2018 regional World Economic Forum in Hanoi, not Da Nang. It also corrects attribution of quote "By choosing Vietnam..." to Vu Minh Khuong instead of Le Hong Hiep.